You've got the POWAIR! 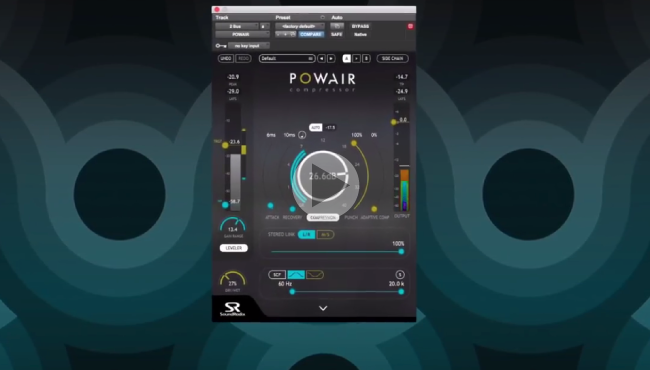 POWAIR was designed to be a smarter, more natural sounding compressor. 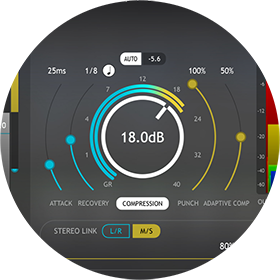 It’s a dual-stage loudness leveler / compressor / limiter powered by a novel, proprietary compression engine which provides greater transparency and control than ever before. ​The first stage is a K-weighted loudness leveler, perfect for leveling a voice-over or auto-adjusting the level of different pieces of music. In its second compression stage, POWAIR uses an innovative gain detection and reduction engine, capable of fast gain changes with minimal distortion and adaptive response to the source. 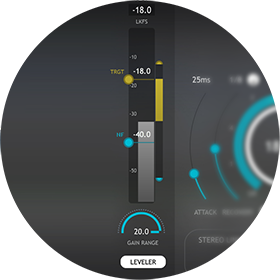 The unique Punch feature enables full control over the transients’ levels during the attack stage, making it possible to shape the transients’ lengths while keeping peak levels under control. 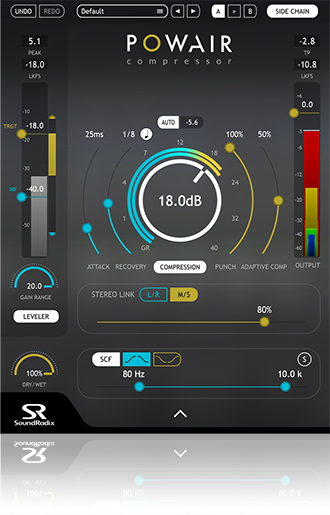 And in an industry first, POWAIR features Adaptive Compression to maintain an average compression action, adding intensity and glue while keeping the natural dynamics of the recording. POWAIR’s novel, proprietary compression engine allows for powerful dynamics shaping while maintaining the timbre of the source material, even when pushed to extremes. It enables greater control and transparency of the source’s perceived loudness and intensity and brings a sense of power to vocals, instruments and mixes. 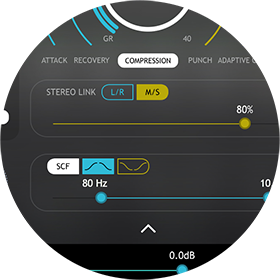 With innovative features such as Punch and Adaptive Compression, POWAIR offers an extra level of control over transients, enabling you to uniquely shape your sound while fully retaining the dynamics of the original performance. Whether you need to deliver tracks to EBU specifications or control the levels of a dynamic performance, the K-weighted perceived loudness (LKFS) leveler will smoothly ride your tracks to your target level. Additional features such L/R and M/S processing with variable stereo-link, bandpass and bandstop side-chain filter, tempo-synced recovery time, side-chain input and analytic auto-makeup gain complete POWAIR’s comprehensive feature set.